I'm using Safari 9.0.1 in OS X 10.11 - unfortunately I don't see a pattern where I could reproduce the bug and add details, it just happens sometimes. 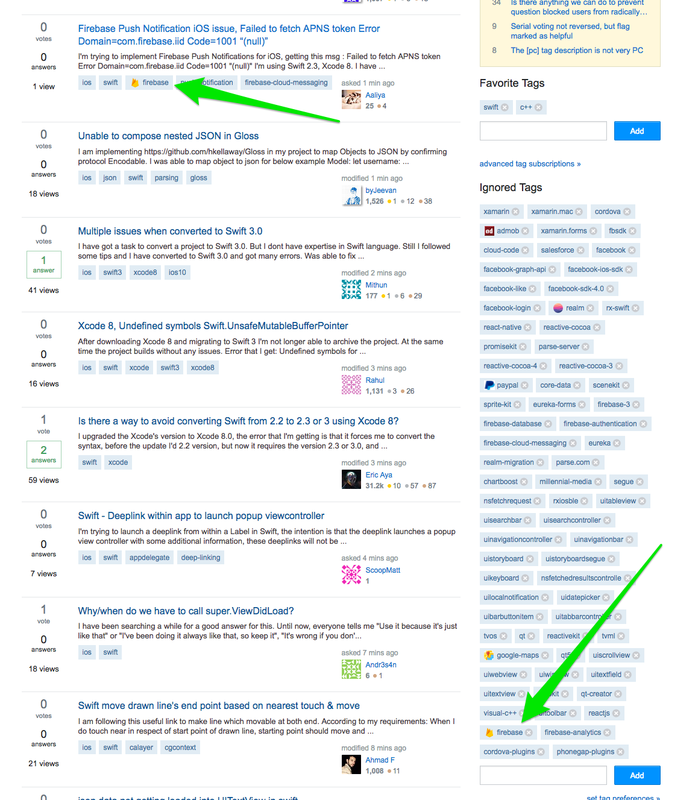 There's something fishy about the parse.com tag specifically in my case, because I almost only see this one Ignored Tag leaking through the active tab (although today I also got a Realm tag suddenly appearing). 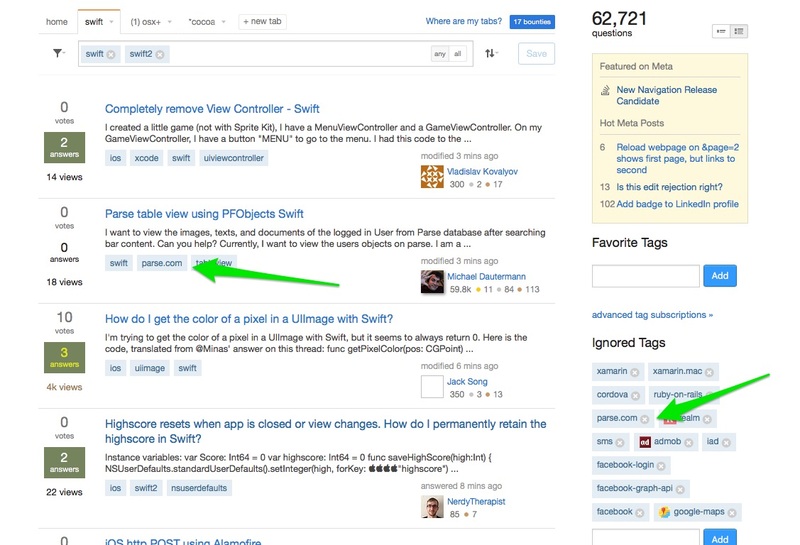 Maybe it's because it's a tag I often interact with, when retagging parsing to parse.com on questions in my active tab for example (I never interact with the other Ignored Tags). I've seen this behavior too. 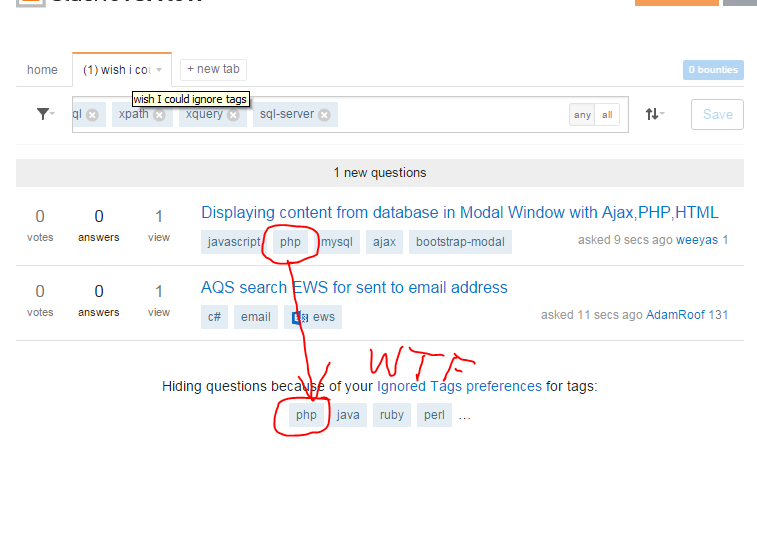 The great thing is that there's a notification claiming that some results are hidden due to my ignored tag preferences. Oh, really?